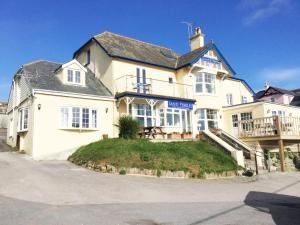 With a stay at Sand Pebbles in Kingsbridge (English Riviera), you'll be convenient to Hope Cove Beach and Thurleston Beach. 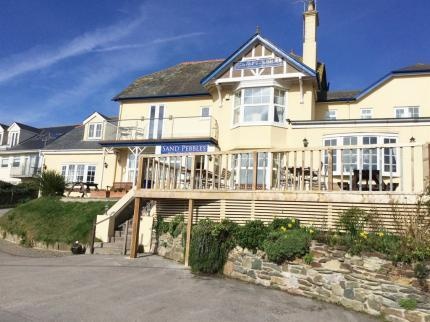 This hotel is within the vicinity of Burgh Island and Overbecks Museum and Garden. Make yourself at home in one of the 9 guestrooms. Complimentary wireless Internet access is available to keep you connected. Bathrooms have showers and hair dryers. Conveniences include coffee/tea makers and irons/ironing boards, and you can also request cribs/infant beds (complimentary). Enjoy a satisfying meal at a restaurant serving guests of Sand Pebbles. Quench your thirst with your favorite drink at a bar/lounge. A complimentary cooked-to-order breakfast is included. Free self parking is available onsite. Nearby pubs. Great place to visit. Decent car park. Fair romantic hotel. Close to the beach with easily accessible parking. Fantastic service. Good choices for breakfast. Delicious breakfast. Excellent breakfasts. Excellent breakfast service. Great staff. Reasonable service. Quiet nights sleep. Television was tiny. Tiny loft room. Towels were old. Dated decor. Musty halls. Musty halls. Mildew towels. Dirty sheets. There was no lift. Dated decor. Scruffy exterior.